Armstrong, William. 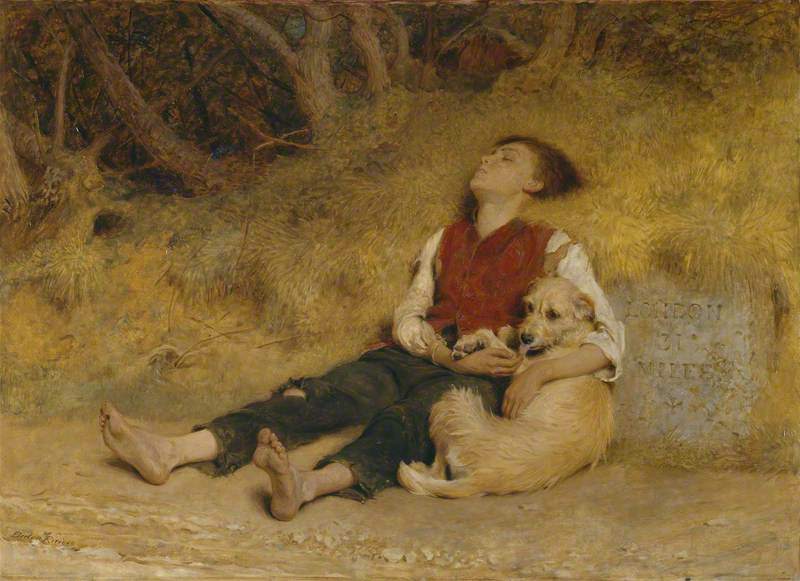 "Briton Riviere: his life and work." Christmas Art Annual (1891). "The Collection of Merton Russell Cotes, Esq., J.P." Art Journal. Vol. 57 (1895). 293-95. Internet Archive. Contributed by the Getty Research Institute. Web. 5 October 2018. "Death Of Mr. Briton Riviere." Times. 21 April 1920: 19. The Times Digital Archive. Online ed. Web. 5 October 2018. Fenn, William Wilthew. Some modern artists and their work. Ed. Wilfrid Meynell. London: Cassell, 1883. 141-47. Internet Archive. Web. 5 October 2018. Norman, Geraldine. Nineteenth-Century Painters and Painting: A Dictionary. London: Thames and Hudson, 1977. Reynolds, Simon. "Riviere, Briton (1840–1920), painter." Oxford Dictionary of National Biography. Web. 5 October 2018.